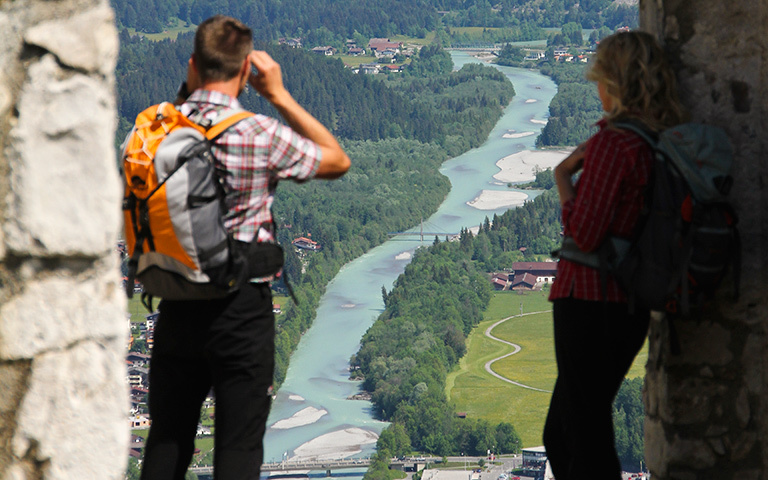 The Reutte nature reserve region in Tyrol is ideal for holidaymakers in search of outdoor adventure in the fresh air. The region’s close juxtaposition of mountains and valleys, streams and lakes, meadows and woods is what makes it so distinctive. Each season holds its own particular charm and amazes visitors time and again with hiking trails in excess of 400 km and 186 km of cycling and mountain bike trails. Whether you are in good shape and want to take on a summit, prefer to make a cabin stop not too far up, or would rather a leisurely walk – our wonderful landscape has something for everyone. 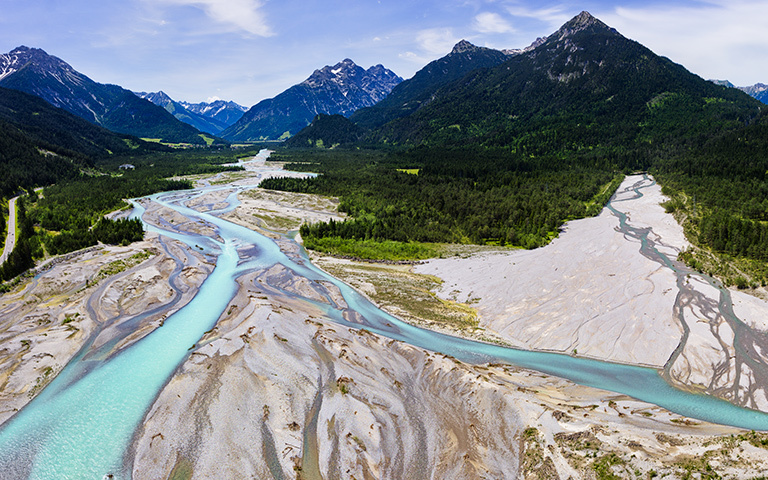 The Tyrolean Lech nature reserve is a natural wonder in the Tyrolean landscape. With hiking routes of over 400 km in distance, there is something for all adventurers, both large and small. Guided nature-watch tours are a brilliant opportunity to discover the wonders of the animal and plant world. As well as being an opportunity to experience nature at its purest, a hike into the mountains also doubles as a cultural journey and action- and fun-packed adventure. A roughly 120 kilometre-trail leads from lake Formarinsee in Lech am Arlberg through Warth and into the Lech Valley-Reutte nature reserve region, before stretching up to the Lechfall waterfall in Füssen in Allgäu. This hiking trail is divided into various stages and offers something for everyone. Choose between the high-intensity, classic or leisurely versions, depending on your own level of fitness. Nature reserve guides will happily lead you on a path of discovery though the unique wonder of the wild river landscape. The Lechweg cross-country trail has even been subject to the strict quality testing of the European Hiking Association, which awarded it certification as the first Leading Quality Trail. This has resulted in the Lechweg being used as a model for long-distance trails all over Europe. The Alpine “barefoot path” features 18 stops and its terrain makes it a child-friendly option. Those in search of relaxation and families have the option of getting to the top with the Reutte mountain railway. This hiking trail leads from directly underneath the mountain station to the Lechaschauer Alm and onwards to the Gehrenalpe. The fitness enthusiasts among you can start the tour straight away in the valley – the marked trails will lead you to the Alpenrosenweg trail! The area is easy to reach and offers a fantastic view! A hike on the Ehrenberg Castle Ensemble offers the perfect opportunity to combine hiking and culture! Starting from the Klause, go up to the Schlosskopf fortress via the Ehrenberg ruins. You can do this alone or with a nature guide. The leisurely hike trail leads you on a hunt for the legendary Schlosskopf treasure. This path is suitable for families with children. But the real high point of this hike is crossing the Highline179, the longest foot suspension bridge in the world, linking the Ensemble with Fort Claudia – another of the historical fortifications. 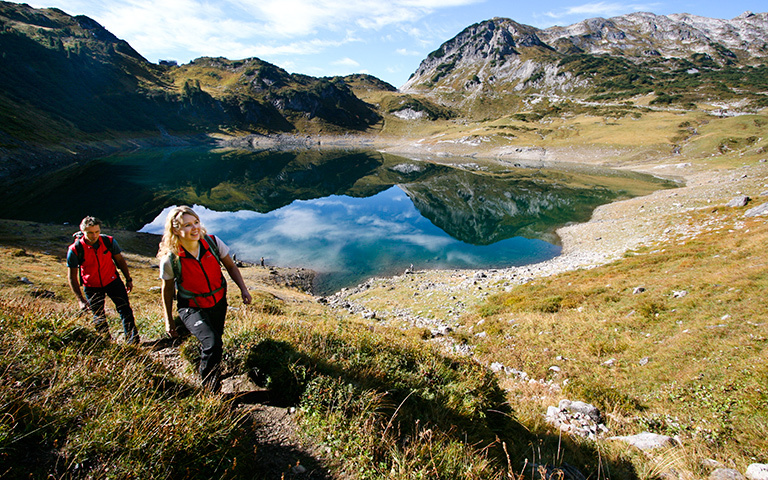 The Reutte nature reserve region is famous for its many crystal-clear mountain lakes. Hiking is a wonderful way of discovering these natural beauty spots. A hike around the Plansee, as it is called by the locals, is an absolute must. See crayfish at the lake edge and discover the breathtaking landscape of one of the most beautiful and largest mountain lakes in Tyrol. The Frauensee, considerably smaller but no less idyllic, is well worth an excursion too. Add a stage of the Lechweg trail in here too. The Costaries Chapel is a real highlight with stunning views, as is the Urisee, a popular swimming lake in Reutte. This is located at the foot of the Dürrbergalm, a meeting point in spring and autumn and probably the sunniest place in Reutte. People like to call it the balcony of Reutte. The idea behind Nordic walking is to work the whole body, from head to foot. If done properly, the benefits to physical fitness and the cardiovascular system can be immense. The Reutte nature reserve features nine different walking trails which are suitable for runners too. The trails range from 3.5 km to 7.5 km. If you want to enjoy the view while walking, choose the ‘Hahnenkamm-High-Parcour’, where you will start by taking the Reutte cableway up to the Hahnenkamm mountain restaurant, and start from there. Whether you are a lover of scenery, an occasional walker or a seasoned hiker, a variety of trails means there is something for everyone! Choose from more than 186 km of cycling and mountain-bike trails of all difficulty levels. 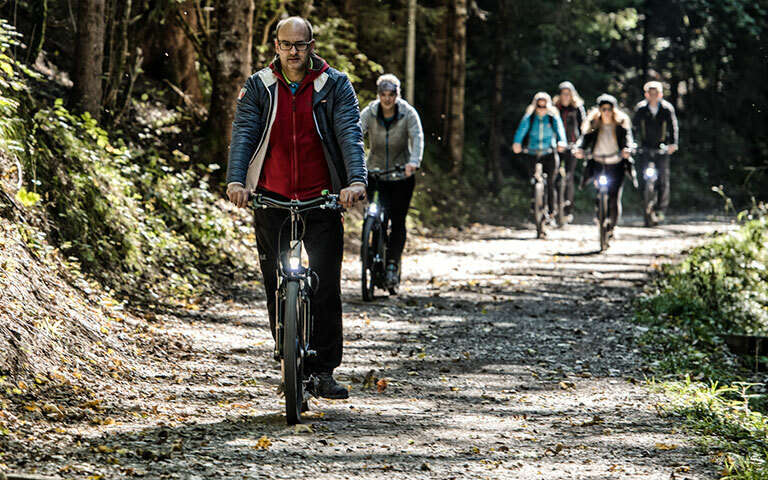 The Reutte nature reserve has something for everyone, whether leisurely cyclists or electric-bike users enjoying the landscape to the full, or adventurous mountain bikers. Our hotel is located right on the Lech cycle trail! No need to take your bike from home, you can hire one from most sports shops in Reutte if you want. Electric bikes are available too. In Reutte, start from the Urisee and embark on an impressive journey along a trail which passes by the Melkalpe and Kuhklause, leading all the way to the Plansee. This trail is recommended for experienced mountain-bikers who love adventure. 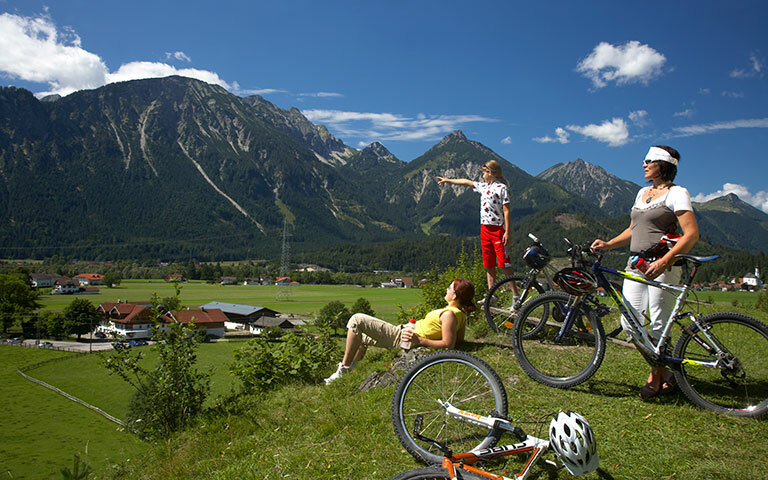 With a difference in elevation of 430 m, the trail is 11.4 km in length and the average journey time is 1.5 h.
The Lech Valley cycle path stretches over a total of 52 km and is a suitable option for all, whether families with children or seasoned cyclists. This gently undulating trail leads through one of the most unspoiled valleys in central Europe, with a route which passes through an agricultural region complete with riparian forests, meadows and rural country tracks. Breathtaking, unforgettable and spectacular natural scenery awaits your discovery. 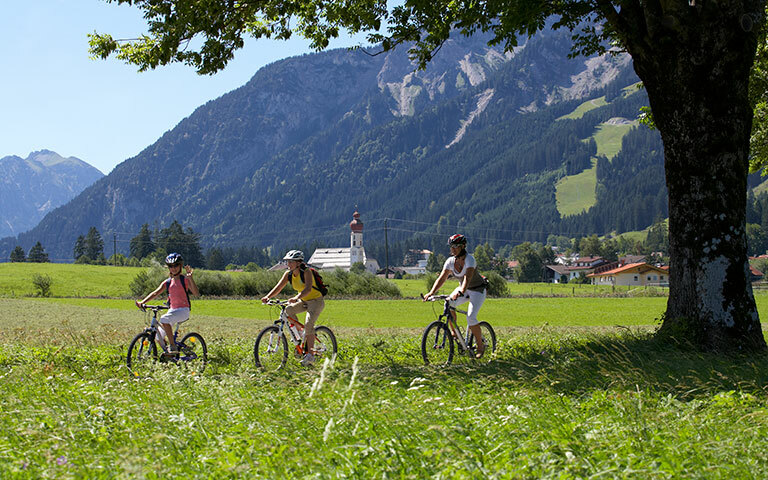 The Lech Valley cycle trail is one of the most beautiful cycle paths in Austria. 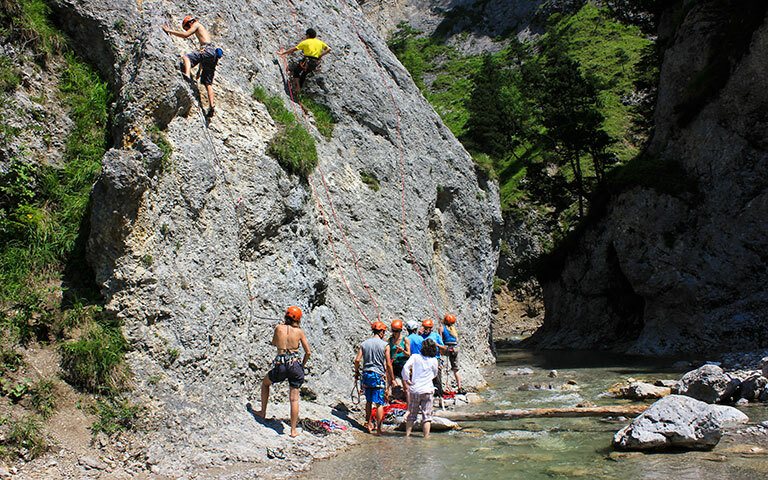 Reutte has plenty to offer for those in search of adventure too. 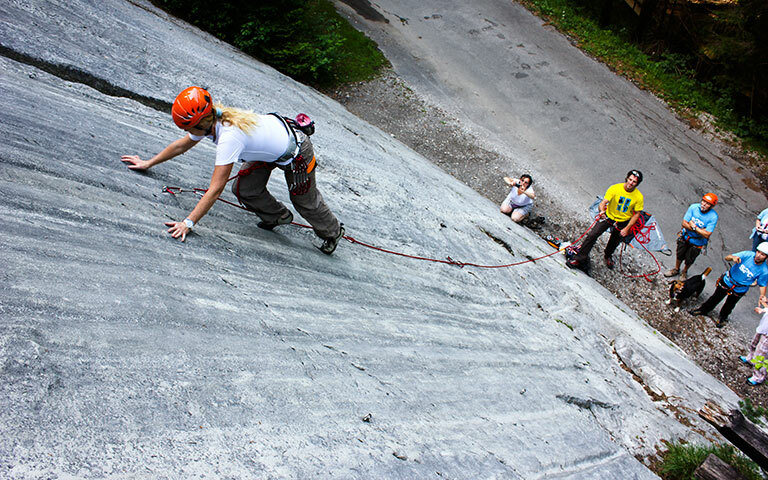 Get your thrills with a vast range of climbing parks in and around Reutte catered to both families with children and professional climbers. Equipment is available for hire. 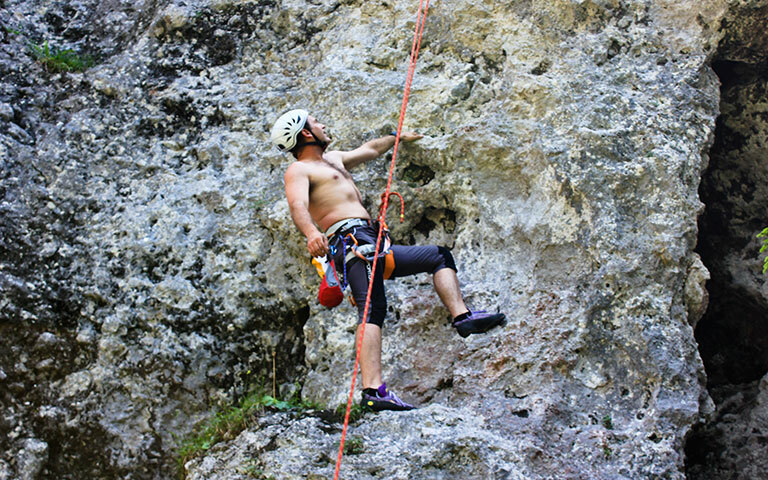 Those looking for even more action to get their heart racing can opt for a taste of adventure with canyoning. 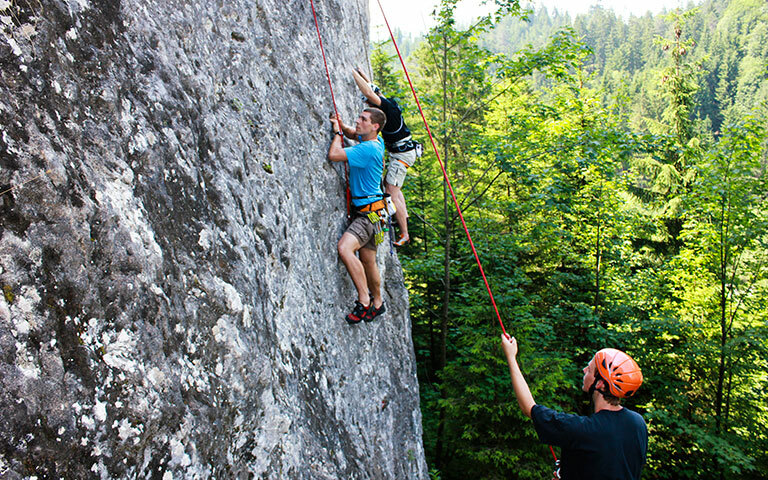 The Kletterbüro in Reutte offers introductory climbing courses with equipment hire at the climbing park as well as canyoning and private hike tours. 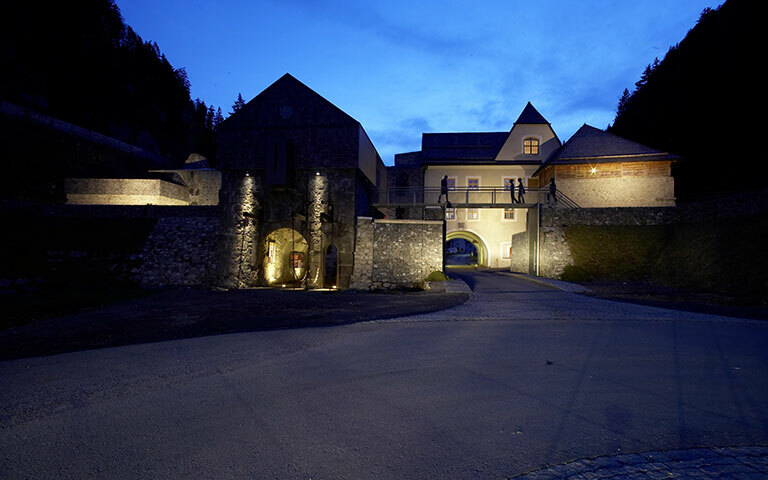 There are countless forts and castles in and around the area which offer an exciting journey into the early days of Reutte. Discover the imposing walls of the forts and find out more about the Middle Ages and the kings of eras gone by. 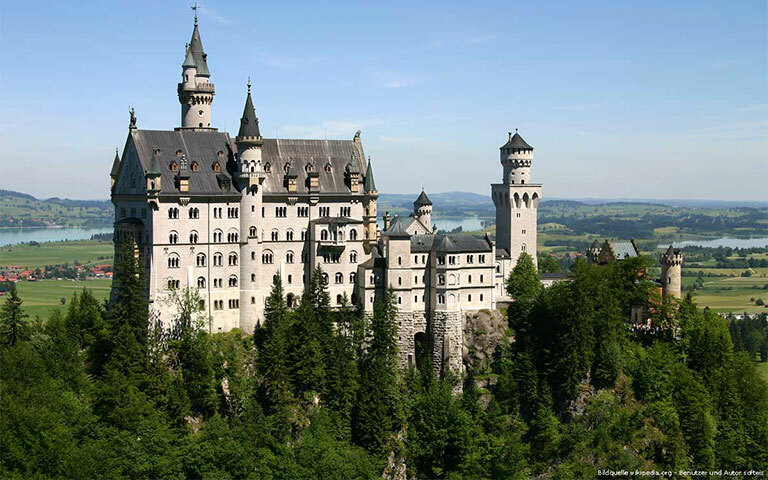 Not one, but two castles await you on a trip to Hohenschwangau. Hohenschwangau Castle, where Crown Prince Maximilian von Bayern spent his summers, as well as Neuschwanstein Castle which King Ludwig II von Bayern had erected in the style of a mediaeval fortress. Visit the Museum of Bavarian Kings here too. Here visitors are given an insight into the history of the Wittelsbach dynasty – from its beginnings to the present day. The castles can reached from Pinswang after a leisurely hike along the Fürstenweg trail. A small detour will allow you to take in the magnificent views offered by the 3-country viewpoint. We highly recommend these hikes! 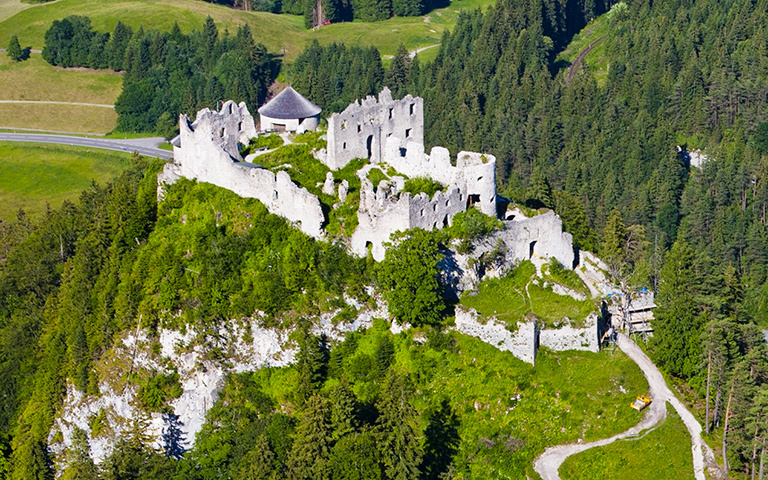 Visit the Ehrenberg World of Castles in Reutte for a brief journey into the Middle Ages. The Ehrenberg Castle Ensemble is made up of four different forts: Klause, the Ehrenberg castle ruins, Fort Schlosskopf and Fort Claudia. 700 years of history await you in the Ehrenberg fortification. And don’t forget the museum for a journey of discovery through medieval history. If you are already at Castle World, you can tie this in with a visit to the new Highline 179 – the longest suspension footbridge in the world. It links up the Ehrenberg castle ruins with Fort Claudia! This attraction is only a few minutes away from our hotel! 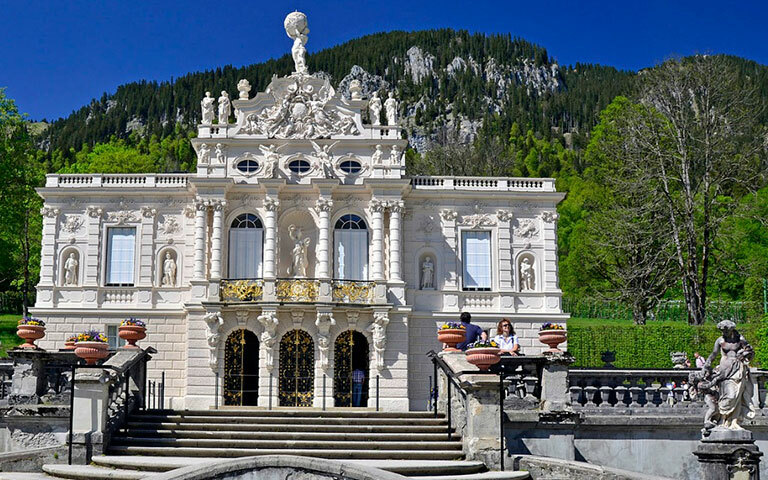 When you look at Linderhof Castle, you would not believe that a little forest cottage once stood there in its place. King Ludwig II had what was once the cabin of his father Maximilian II converted into a castle with a park. The ‘Königshäuschen’ (King’s cottage) was continually extended and the only building that Ludwig II saw completed.